Random Wednesday Blog: My Collections . . . or What Kind of DSA Should I Get Rid Of???? I wish I could tell you that I collect nothing, but that would be a fat lie. I can admit that I don’t collect as much as I used to . . . or as much as my Mom thought I should. For some reason, she thought I should collect things so she would buy me things as gifts. For instance, I have a series of wolf plates, dragon figurines, and Boyds Bears figurines–all of these were gifts from my mom. Now that she’s passed these items are priceless to me and I will never give them up. But at the time, I had no clue what to do with them. I actually do collect dolls, but not your normal run of the mill Madame Alexander or whatever. Nope, I collect Begoths. I’m sure most of you are thinking, “What the what? 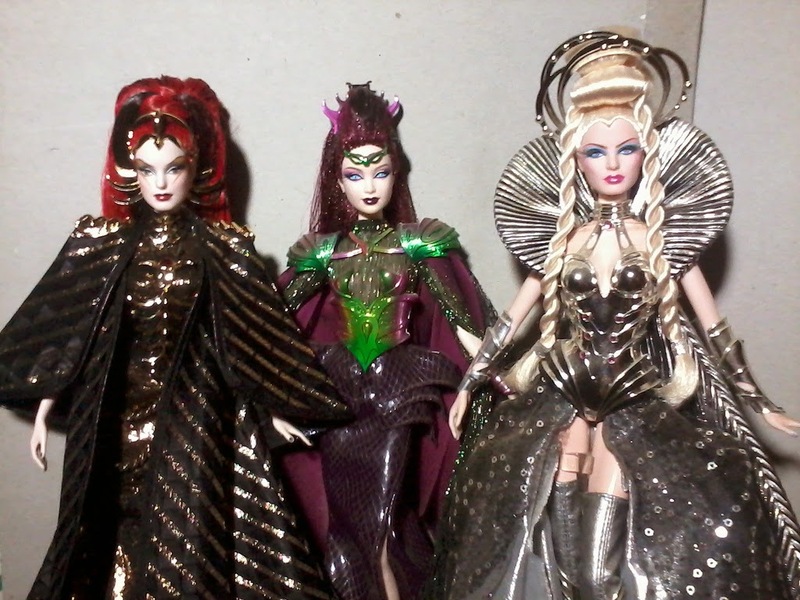 ?” Here are images of some of the dolls I own (they’re from the Internet and not my actual dolls). Here are some of the other dolls I own. They are part of the Barbie collection. As you can see, I don’t collect every day dolls. Another thing I collect is music. I’m sure if you’ve been here before you know how much I looooooove music. So I have pretty big collection. Books are another thing I collect. I have boxes and boxes and boxes out in my garage, stacks in my closet, and 2 huge stacks on my night stand. I also have a Nook with . . . a lot of books on it. I will admit I’ve purged. Over the last maybe 15 years I’ve probably gotten rid of 50 or more boxes of books. But I just buy more since I love to read. Knitting patterns and yarn are another thing I collect. I love to knit. I’m not great at it, but it’s so relaxing so I’m always hunting for my next project. Jewelry supplies!! I love to make jewelry so I have tons of beads, findings, charms . . you name it. I haven’t had much time lately, but I plan on getting back to it soon. I have some gifts to make for people. 🙂 And no, I’m not telling. To go along with jewelry supplies, I collect earrings. I love earrings and I always get myself things I can’t make. My sister is an awesome gift-giver so I’ve gotten some beautiful earrings from her. I think, that’s about it. Jeez, it’s more than enough really. Check out the other Blogger Girlz and see what they collect. And if you want to tell us what you collect we’d love to know. Maybe you’ll start a trend. ← Cover Reveal!! Mated by Gwendolyn Cease . . .. Hey! That’s me!!!! Woo hooo!!!! 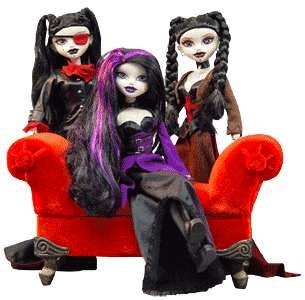 Oooohhhh – I like your dolls!! !